DeFuniak Springs, Fla— Typically buses are the ones delivering students to the classroom, but today in Walton County the buses became the classroom. 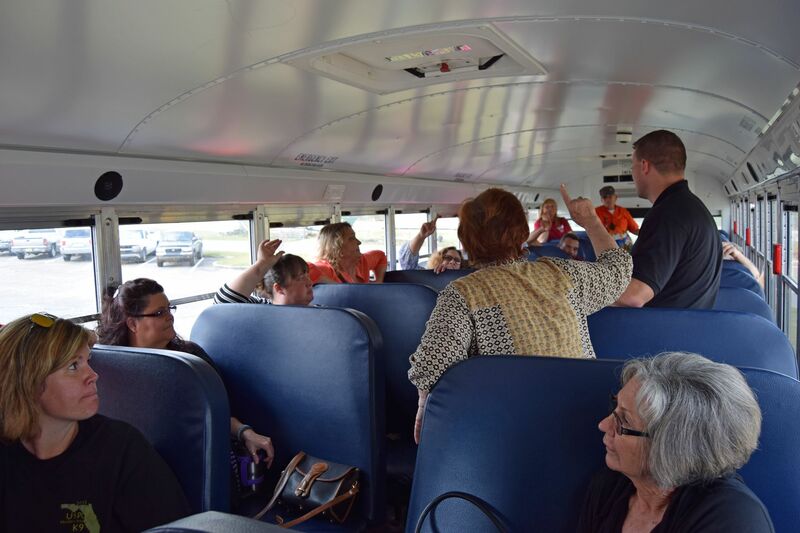 Wednesday a group of Walton County School District bus drivers experienced a hands-on training dealing with violent encounters on school buses. School Resource Deputies Jeremy Fisher and Nathan Hicks taught the A.L.I.C.E curriculum to a group of 40 drivers. A.L.I.C.E (Alert, Lockdown, Inform, Counter, Evacuate) Training is an instructor led class preparing individuals on how to proactively handle the threat of an aggressive intruder or active shooter.